dejiolaluweblog: Entertainment : Where is 'Baba Nee'? 0 Entertainment : Where is 'Baba Nee'? Guess he needs no introduction! Well, if you're still lost as to whom I'm talking about here. Let me do a brief introduction. Baba Nee is back in day the hip-hop artiste who had a prolong battle with 9ice, the Gongo Aso crooner, over copyright issues in some of the songs that appeared in hit debut album 'Gongo Ago'. without due credit to him. And most especially that the style 9ice uses belongs to him. When he discovered this he was said to have frontally reached out to 9ice for proper acknowledgement but was rebuffed. This was said to have angered him a lot more so because he had neither the money; nor the clout; nor the record label to fight the battle for him. After all he isn't asking for financial compensation. He later resolved to pick the gauntlet by fighting the injustice musically. 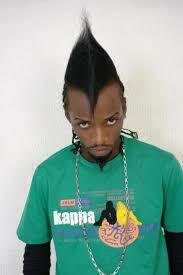 To this end, he did recorded some songs back then with the intentions to get at 9ice. I could remember the song: '2ice as 9ice' and the follow up video in which he squared up with a 9ice look alike so that 9ice does not miss the message. He took the song 'Pete-Pete' from 9ice's follow up album as a response to his allegations which didn't go down well with him also. At the height of his desperation to settle the score he even called out 9ice to a street musical duel to underscore the fact that he truly owns the proverb laden style now synonymous with 9ice but didn't get as little as 'ear of a camel' for his audacious efforts. While the beef lasted he indeed had what I’d call snatches of fame. Did I hear you say fortune! I don't know anything about that. Seriously, I sometime wonder where the guy is now. Not because I sorely missed him. Doubt if any serious musical buff does. I mean it’s been a long while he did anything of note musically. For someone who lays claim to originality it’s unacceptable. Could it be that he is after all a flash in the pan. In contrast, however, you will agree with me that his enemy number one, 9ice, is still very much around and loud too. It does appear that he's even more mature with an eye for CSR. Because recently he released an album with eponymous title 'I. D CABASSA' tributary to his pioneering manager with an icing on the cake price that the proceeds from the album will go to him. Now the question is who truly owns the tradition or style between the two? Is it the ‘Super mother’ singer, Baba Nee or 9ice. Honestly, it's no hard decision for me comparing the endurance level displayed so far by the two in the game. While no one will argue about who had had a fickle shine in the firmament of Nigerian music and who is an enduring personality as far as the musicianship game is concerned. It is very possible they both had an idea of the stylistic concept but Baba Nee I think has the burden of originality on his side but didn’t proof it eventually. The fact of their differential successes is another sign that one towers above the other. And all fingers point towards 9ice. For a recap, I don't miss Baba Nee for whatever he's worth musically simply because 9ice cuts it for me and everyone who has got hears for good music. But those who choose to stick with meaningless ranting of musical losers or cheap popularity seekers if you like like Baba Nee are free. Labels: Where is Baba Nee?